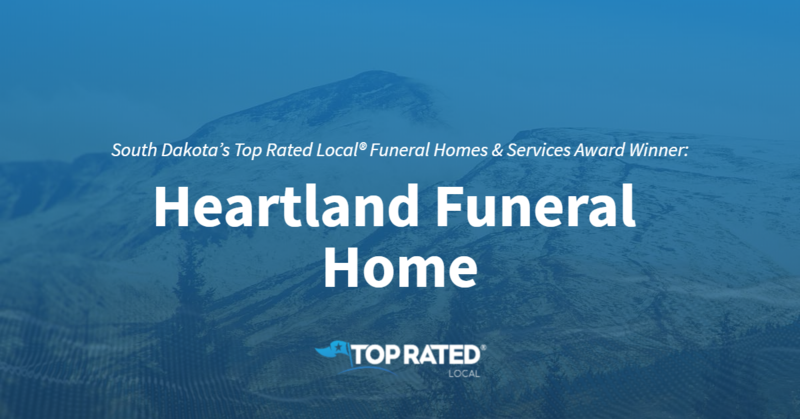 Top Rated Local® is pleased to announce that Heartland Funeral Home is a 2019 award winner for funeral homes and services in South Dakota! If you’re looking for the right funeral home in Brandon, look no further than Heartland Funeral Home. 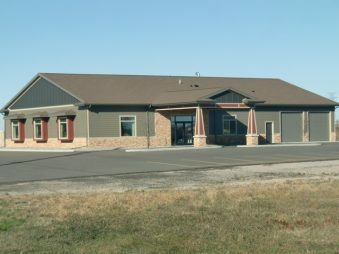 Heartland Funeral Home has received dozens of reviews on multiple verified sites with an average rating of 4.95 stars, earning them wonderful Rating Score™ of 87.47 and a 2019 Top Rated Local award for ranking among the top 10 funeral homes in all of South Dakota! “We had no worries after talking to Todd; he took care of everything, which was a great comfort to our family during this difficult time in our lives. We couldn’t believe how beautiful and at peace our grandmother looked during the visitation. The end of my grandma’s journey was a wonderful experience thanks to Todd and his staff. 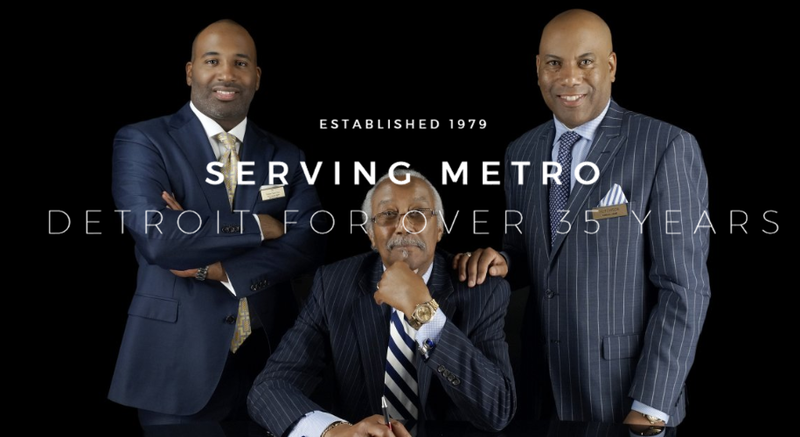 We couldn’t have asked for a better funeral home.” – C.K. Todd Winkel, Funeral Director and owner of Heartland Funeral Home, generously gave us a few minutes of his time to tell us about his award-winning business and its stand-out online reputation. Todd attributes Heartland Funeral Home’s strong online reputation to their commitment to ensuring their clients are satisfied and told us that their reputation speaks for itself. When asked how Heartland Funeral Home has gotten their name out there outside of building a powerful online reputation, Todd told us that around 80 percent of his clients are referral-based and that word of mouth is their best advertising source. He went on to tell us that they advertise in Coffee News and they work with a marketing subcontractor who helps them with SEM (search engine marketing), including SEO (search engine optimization). Congratulations to the team at Heartland Funeral Home for being a 2019 Top Rated Local award winner, and thank you so much, Todd, for taking the time to speak with us! We highly recommend Heartland Funeral Home in Brandon. Visit their website today! Top Rated Local® is pleased to announce that Wight and Comes Funeral Home is a 2019 award winner for funeral homes and services in South Dakota! For compassionate, professional funeral services in Watertown that can cater to all faiths and cultures, there’s no better option than Wight and Comes Funeral Home. Wight and Comes Funeral Home has received dozens of reviews on multiple verified sites with an average rating of 4.83 stars, earning them a fantastic Rating Score™ of 88.33 and a 2019 Top Rated Local award for ranking among the top 10 funeral homes and services in South Dakota! “I’ve gone to so many viewings at different funeral homes in the last 10 years. The directors at Wight & Comes consistently do the best job at making deceased friends and family look really good. My family was very impressed with how professional and caring the staff was when my father passed away. I highly recommend this funeral home.” – Jamie V.
In order to learn a little more about this award-winning business and its stand-out online reputation, we took a few minutes to talk with Michael Wight, Funeral Director and owner of Wight and Comes Funeral Chapel. The first question we had for Michael was what sets Wight and Comes Funeral Chapel apart from their competition in South Dakota. Michael points to the fact that they’ve been around for more than 100 years and have established a reputation in their community for respected services and quality customer service. We also wanted to know what their mission is at Wight and Comes Funeral Home and how they work to make the world a better place. Michael told us that they aim to help families and make the burden of loss easier, as well as to follow through on wishes. Michael attributes Wight and Comes Funeral Chapel’s strong online reputation to the social media presence they’ve built up over the past year by doing promotions on Facebook to get more likes and traction. 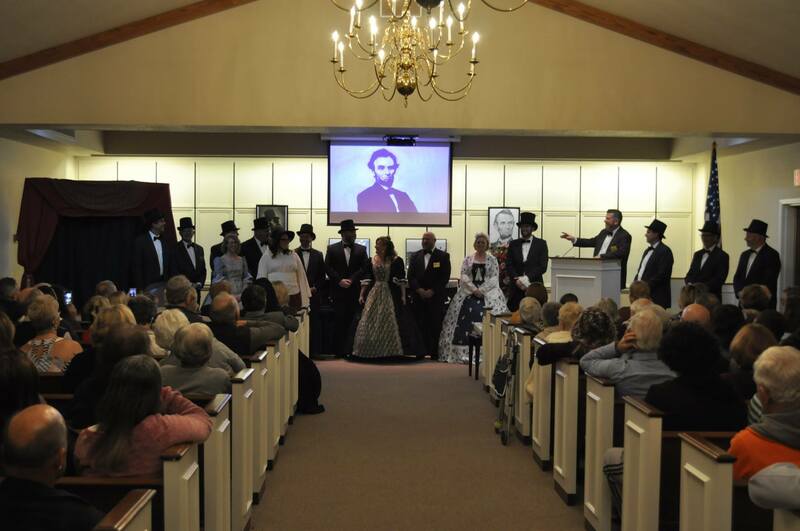 Outside of building a powerful online reputation, Wight and Comes Funeral Chapel has gotten their name out there through advertisements in the radio and newspaper, as well as regional sponsorships. 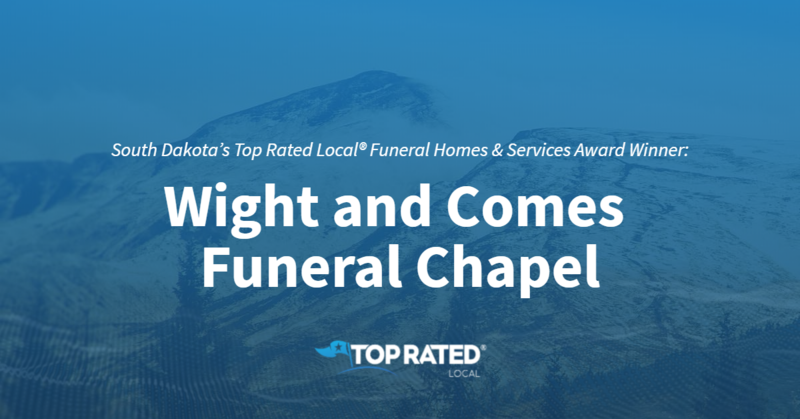 Congratulations to the team at Wight and Comes Funeral Chapel for being a 2019 Top Rated Local award winner, and thank you so much, Michael, for taking the time to speak with us! We highly recommend Wight and Comes Funeral Chapel in Watertown. Visit their website today! Top Rated Local® is pleased to announce that Kansas City Funeral Directors is a 2019 award winner! “2018 was supposed to be the happiest year but ended up becoming the saddest. It was a process to send our loved one home (internationally) for final burial. 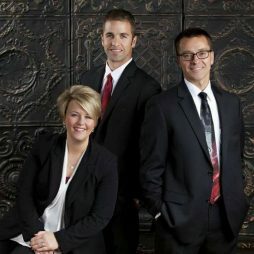 From day one, Kansas City Funeral Directors never stopped working our case, truly going above and beyond expectations. Communication was excellent; our director was very transparent about their process and potential problems with our situation. Even when our case was out of their hands and they could say that their job was done, they still cared to follow up that our loved one actually did make it home without issue.” -Reggie D.
Thad Rogers, the owner of Kansas City Funeral Directors, took some time to chat with our team about his business’ outstanding online reputation. 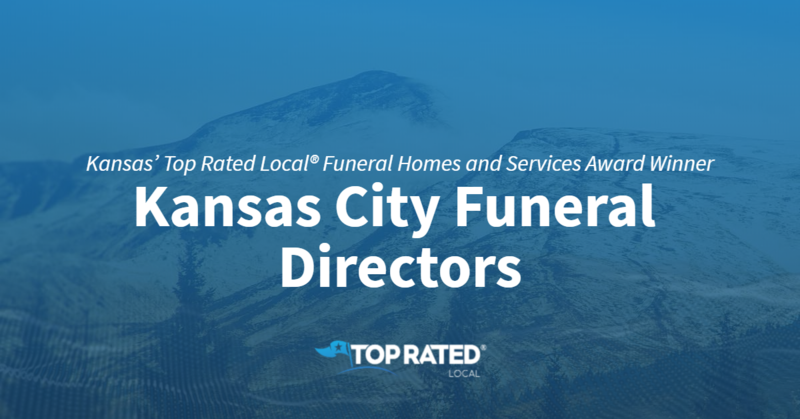 Congratulations to the team at Kansas City Funeral Directors for being a 2019 Top Rated Local award winner, and thank you so much, Thad, for taking the time to speak with us! 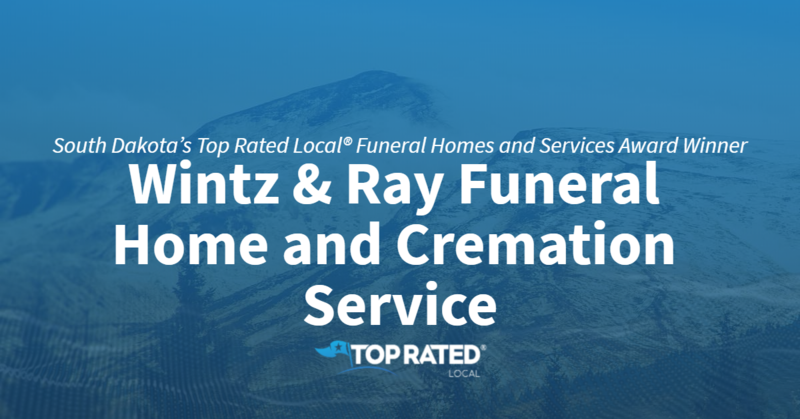 Top Rated Local® is pleased to announce that Wintz & Ray Funeral Home and Cremation Service is a 2019 award winner! Reviews just like this have helped Wintz & Ray earn a 90.27 Rating Score™, a 4.63 average star rating, and a spot among the top five funeral homes in South Dakota. Steve, the funeral director at Wintz & Ray Funeral Home, took some time to chat with our team regarding the business’ outstanding online reputation. Congratulations to the team at Wintz & Ray Funeral Home and Cremation Service for being a 2019 Top Rated Local award winner, and thank you so much, Steve, for taking the time to speak with us! Top Rated Local® is pleased to announce that Backus Funeral Home is a 2019 award winner for funeral homes and services in South Carolina! 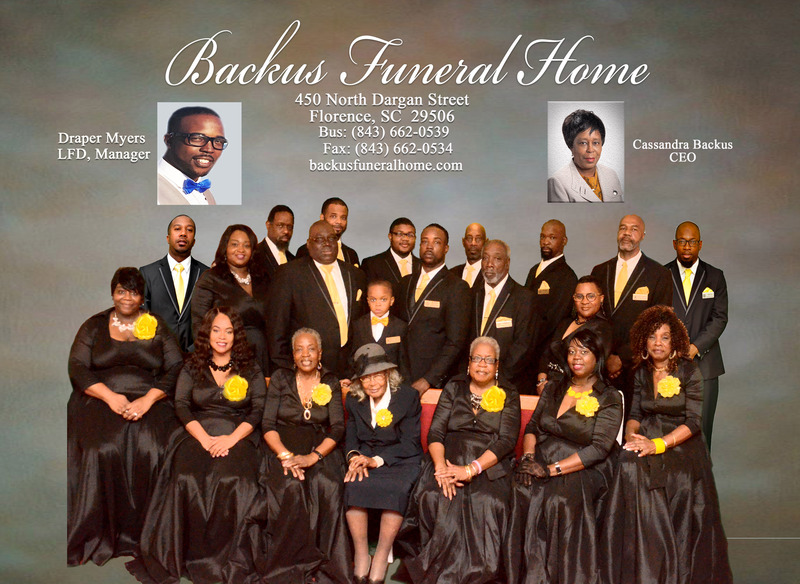 Backus Funeral Home in Florence has received dozens of reviews on multiple verified sites with an average rating of 5.00 stars, earning them a phenomenal Rating Score™ of 92.00 and a 2019 Top Rated Local award for ranking among the top 10 funeral homes and services in South Carolina! “They are a group of wonderful young people. They are very professional and believe in prayer! Mrs. Woodberry and Mr. Myers are very good at what they do, and they love to help people! Backus Funeral Home continues to be encouraged and do the best!! [They had] awesome teamwork!”- N.B. Miranda Woodberry, Office Administrator at Backus Funeral Home, sat down with us to tell us a little more about this award-winning business and its impressive online reputation. Miranda attributes Backus Funeral Home’s strong online reputation to their commitment to doing the best they can with their services and asking for reviews. Congratulations to the team at Backus Funeral Home for being a 2019 Top Rated Local award winner, and thank you so much, Miranda, for taking the time to speak with us! We highly recommend Backus Funeral Home. Visit their website today! Top Rated Local® is pleased to announce that Sunrise Funeral Home and Cemetery is a 2019 award winner for funeral homes and services in Minnesota! 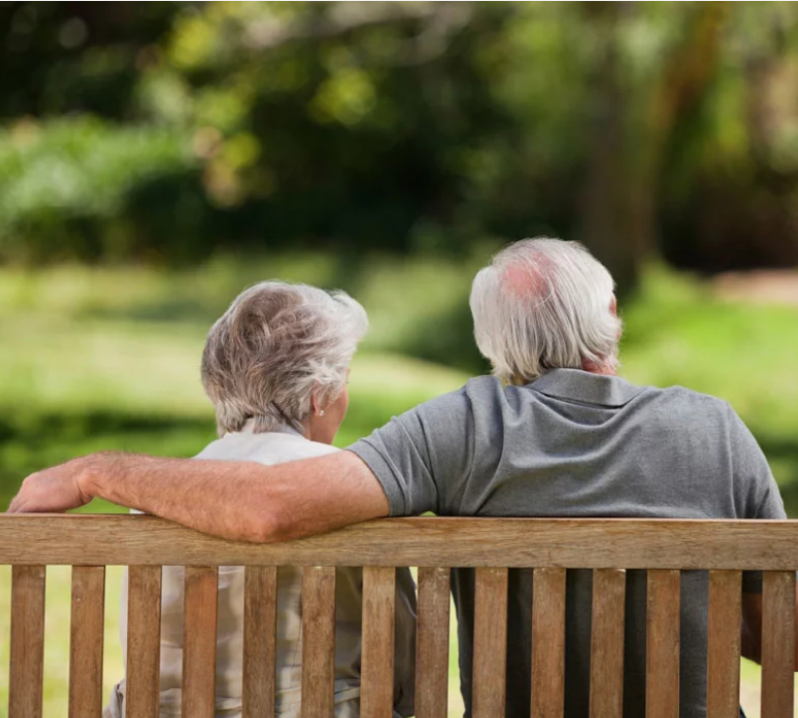 If you are looking to create and design a healing experience to celebrate the life of a deceased loved one, we recommend working with Sunrise Funeral Home and Cemetery in Hermantown, Minnesota! Sunrise Funeral Home and Cemetery has received dozens of reviews on verified sites with an average rating of 4.60 stars, earning them an incredible Rating Score™ of 86.45 and a 2019 Top Rated Local award for ranking among the top 10 funeral homes and services in all of Minnesota! “[The provided a] great service and honored all our family wishes. They worked well with our family, and took all the hassle away and made it easy. They truly helped [to] preserve the memory of Warren. Thank you! -Mitch S.
We wanted to learn a little more about this award-winning business and its impressive online reputation, so we took a few minutes to talk with Bart Porter, the owner at Sunrise Funeral Home and Cemetery. Outside of building a powerful online reputation, Sunrise Funeral Home and Cemetery has gotten their name out there through the newspaper, radio advertisements, and Yellowpages. Congratulations to the team at Sunrise Funeral Home and Cemetery for being a 2019 Top Rated Local award winner, and thank you so much, Bart, for taking the time to speak with us! Visit their website here! Top Rated Local® is pleased to announce that Hutchison Funeral Home is an award winner for funeral homes & services in 2019. Hutchison Funeral Home has received many overwhelmingly positive reviews across three different verified sites with an average rating of 4.87 stars, earning them an impressive Rating Score™ of 94.67 and a 2019 Top Rated Local award for ranking as one of the top five funeral homes & services in Michigan! “[These] professionals were excellent partners in handling my loved one’s final rights. [They were] very professional and top-notch service was provided all the way around. The beautiful main chapel was just the right place for the memorial service. Pricing seemed quite reasonable… [They had] ample parking, a well-maintained facility, and expert staff. I highly recommend [them].” – Paula B. It is because of excellent reviews like this that Hutchison Funeral Home is now able to call themselves a Top Rated Local award winner! He believes that treating people with respect and using sincerity as a cornerstone business model is their secret to having such a strong reputation. Outside of building such a strong reputation online, Hutchison Funeral Home has marketed their business by participating in speaking engagements and advertising on TV, radio, and billboards. Congratulations to Hutchison Funeral Home for being a 2019 Top Rated Local award winner, and special thanks to Joseph for taking the time to speak with us! Top Rated Local® is pleased to announce Goldfinch Funeral Home is a 2019 award winner for funeral homes and services in South Carolina! Honor the life of your loved one with Goldfinch Funeral Home in Conway. Goldfinch Funeral Home has received dozens of reviews with an average rating of 4.88 stars, earning them an incredible Rating Score™ of 92.77 and a 2019 Top Rated Local award for ranking among the top 10 funeral homes and services in South Carolina! “At the worst time of my life, Goldfinch came and made the process of saying goodbye a much less painful experience. I cannot say enough good things about them. They will be the last stop for all of my family members, pets or humans.” – Robin P.
In order to learn a little more about Goldfinch Funeral Home and its impressive online reputation, we sat down with Steven Barfield, a Funeral Director at Goldfinch. Congratulations to the team at Goldfinch Funeral Home for being a 2019 Top Rated Local award winner, and thank you so much, Steven, for taking the time to speak with us! We highly recommend Goldfinch Funeral Home in Conway. Visit their website today! 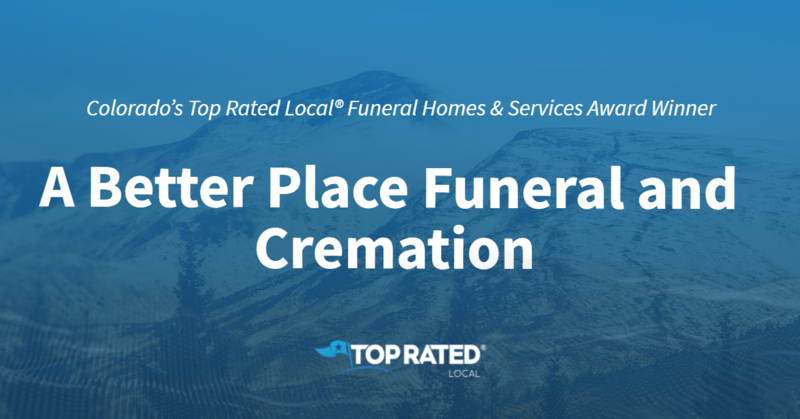 Top Rated Local® is pleased to announce that The Cremation Center of Kansas City is a 2019 award winner! “I was very happy with my experience with the Cremation Center of KC. They were sympathetic and understanding during the loss of my husband. They were helpful on details that I needed to take care of. I felt they were professional, caring and knowledgeable. I would recommend them to other people.” -Deborah S.
Reviews just like this have helped Cremation Center of Kansas City earn a 92.00 Rating Score™, a perfect five-star average rating, and a spot in the top five funeral homes and services in the entire state of Kansas! We got a chance to speak with Doug Gorham, the owner of Cremation Center of Kansas City, about the business’ success both online and off. 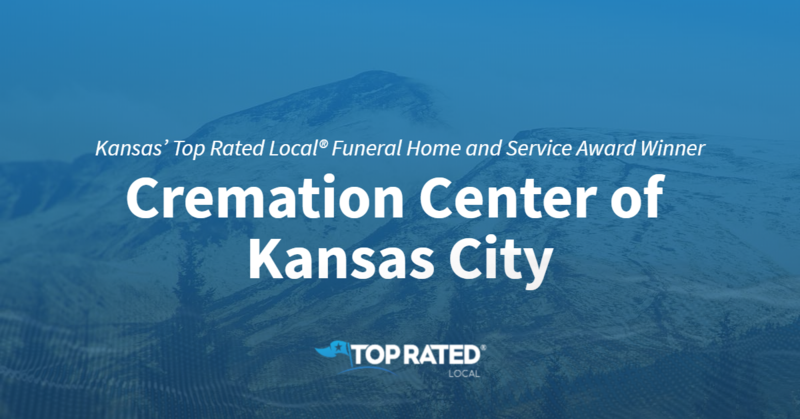 Congratulations to the team at Cremation Center of Kansas City for being a 2019 Top Rated Local award winner, and thank you so much, Doug, for taking the time to speak with us!